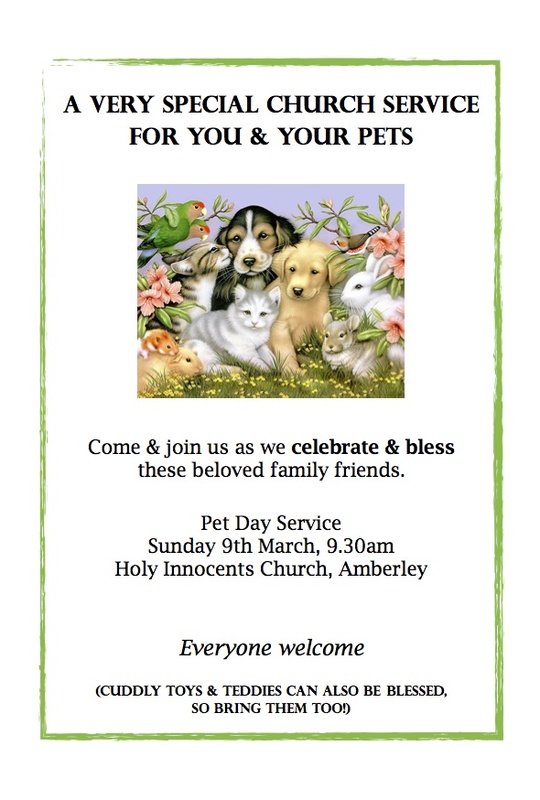 Tell your family, friends and neighbours: on March 9, at 9.30am at Holy Innocents church, we will hold a service to celebrate, give thanks for and bless the special animals (and teddies…) that add such richness to our lives. Cats will feel safer in cages; dogs, pet lambs, etc., should be on leads. As for teddies and other cuddly toys – that depends on how well behaved they are; they can probably sit on your lap! For further information, contact the parish office – 314 8131. This entry was posted in Children and families, community events. Bookmark the permalink.